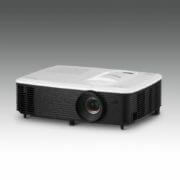 Optoma introduced HD27e Home Entertainment Projector with 1080p resolution, 3,400 lumens, and 25,000:1 contrast ratio. 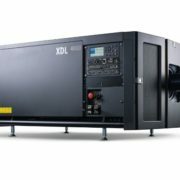 To enhance the color reproduction of the projector the company uses an optimized color reproduction technology and conforms to Rec.709. 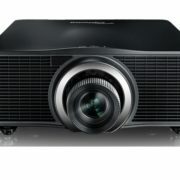 As per the Optoma, the new HD27e is can be converted into smart projector by connecting dongles to its HDMI ports like Google Chromecast, Amazon Fire TV or Apple TV; that enables you to play games and project movies on a big screen of the HD27e projector. For connectivity, it has multiple options such as HDMI and MHL support including USB power ou, 12V out, and Audio out to easily connect the laptop, PC, Blu-ray player, media streamer or games console. The USB power port can use USB to stream content via HDMI dongle. 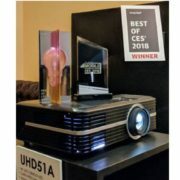 Gordon Wu, Assistant Vice President at Optoma APAC, said: “The new HD27e is an all-round home entertainment projector, combining high brightness with exceptional color accuracy to produce true-to-life visuals on a huge screen. The small and lightweight chassis, simple set-up and integrated speakers make this an extremely convenient choice”.